Two industries that seem to share interesting similarities despite the massive difference in the process and impact of their work are Science and Entertainment industry. One of those similarities is the age of the industry and the number of icons that have lived and died, committing their entire life in furthering the growth of the industry. Hollywood and other film industries across the world have several numbers of actors and actresses whose names continue to live on as icons. One of them is Jill Ireland, who was an English actress with several works across both English film productions and American productions. Learn more about the iconic English actress below. Becoming an icon of industry takes several achievements and contributions but it is defined by one or two highlights. For Jill Ireland, that highlight was her appearance in Star Trek in 1967, in an episode of the sci-fi series where she earned the title of being the only woman Mr. Spock would ever love. Her journey to leaving such footprints started on the 24th of April, 1936 in London, England when she was born to her parents. Not much is known about her childhood and her background until she became an actress. All we know is her mother’s name was Dorothy and her father, whose name is unknown was a wine merchant. It is however known that her interest in the entertainment industry began with dancing, with Jill originally training to become a dancer before she got a taste of life in front of a camera as an actress. In the mid-50s, specifically in 1955, Jill Ireland’s career as an actress began in the film, Simon and Laura, The Woman for Joe, and two more films. Although they were four films, Jill had insignificant roles in them. But what was an insignificant role to the audience was the starting point of a career that would end up earning a Hollywood star on Hollywood Boulevard. The following year, her career took a further step forward, appearing in films like The Big Money and Three men in a Boat. In one short year, she had gone from having a non-speaking role in a big screen production to starring in two with credits to her name as a character. The career growth did not stop for Jill and she further went on to star in films like Hell Drivers, Carry on Nurse, So Evil, So Young, and many more. Having worked primarily in England, she moved to America in 1963, where she began to appear in television productions. Although she made her American screen debut on the show, The Man from U.N.C.L.E, playing several characters, she had made her television debut back in England in 1959 on the show, The Voodoo Factor and starred in several other shows like Armchair Theatre, Ghost Squad, and a few others. One of the defining stories of her career was her professional and personal relationship with Charles Bronson. 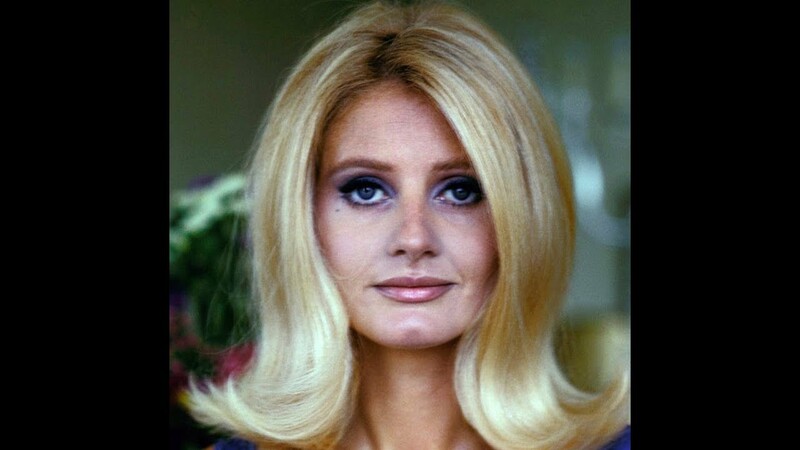 Jill Ireland starred in several films and television shows that starred Charles Bronson and was often referred to as the Charles Bronson whisperer. As a result of cancer, her growing career came to an abrupt end. She was awarded a Star on the Hollywood Walk of Fame in 1989 shortly before her death. Jill Ireland was famously married to two men in her lifetime – Charles Bronson and David McCallum. She was first married to the latter first, having met on the set of one of her film, Hell Drivers and they got married on the 11th of May, 1957. The couple went on to have three children – two of whom were biological while the last, Jason was adopted. The marriage eventually ended in 1967, after 10 years of marriage. Within a year, she married Charles Bronson. She got married to Charles on the 5th of October 1968 and they were married until her death. They had two children – One biological daughter, Zuleika and another, Katrina, who was adopted. Jill Ireland’s hard work and stardom earned her a lot of financial gains. Having starred in over 50 films and television shows in a career that lasted 35 years, Jill Ireland was worth a total of $15 million at the time of her death. Ireland, unfortunately, had her illustrious career cut short as a result of breast cancer. She was diagnosed with the disease in 1984, and despite multiple surgeries, including a mastectomy, she died on 18th of May, 1990 in her Malibu home in California.